Get qualified experts to enhance your team’s capabilities when you need it most. Are you finding it hard to plan staffing levels without running into overtime or under-staffed project problems? Maybe you have complex IT issues that need handling regularly yet do not justify hiring a qualified professional at high full-time rates. 2NDGEAR’s Part-Time Help Desk Support program can supplement your team with IT experts who work within your project requirements. 2NDGEAR has been supporting local southern California businesses with their help-desk needs for many years. We have built a trusted onboarding process and grown a trusted network of support so that downtime is minimal and your projects get done the right way the first time. 2NDGEAR is proud to offer a variety of Offsite and Onsite support solutions to fit your needs. 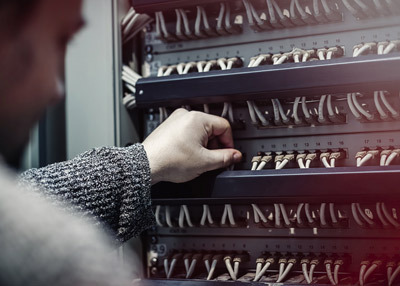 Whether it’s on-call dispatching, part-time assistance or on-demand management of your IT infrastructure, we’ve got you covered and will support you with the best service possible. No matter the size of the project, when you partner with 2NDGEAR for your part-time staffing solutions you gain access to our trusted and thorough process which begins with a thorough assessment of your specific needs. We then make our recommendations based on industry best practices. We then move straight into the implementation stage, whilst always adhering to all budgetary constraints and keeping disruption to your day to day routines to a minimum. Once your project is up to speed we offer a continued custom care package that will ensure ongoing stability and maintenance. Since 1987, 2NDGEAR has worked with over 3,500 schools and businesses to support their Help Desk needs. When you work with 2NDGEAR we provide you with full IT lifecycle support, which means a complete, end to end solution for your organization. You will also access certified technicians and engineers, a personal account representative and a nationwide network of trusted partners. GET THE SUPPORT YOU NEED TODAY! CONTACT US TO DISCUSS YOUR SITUATION IN DETAIL 1-714-622-3170.